This type of surgery is aimed at improving the appearance of the eyes both men and women by removing excess skin and fatty tissue located in fat hernia. The surgery can be performed on upper and lower eyelids or on both at the same time. 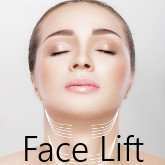 This technique's purpose is a total removal of the skin, or possibly also accumulated fat, which causes the appearance of wrinkles, as well as unfavorable look of the eyes. After eyelid corrective surgery you look younger, less tired and have your old look restored. In most cases local anesthesia is used, however, it happens that general anesthesia is offered to the patient (rare cases). In either case, this decision is discussed and made during medical consultation between the patient, anesthesiologist and the surgeon. This type of surgery does not involve any long recovery process, therefore the patient is free to return to his normal daily activities after only few days. After your arrival, on a first day we organise a medical consultation with the surgeon and if requested by the patient there will be a visit in the hospital, whereas all the essential tests are done. On the following day and if there are no contraindications the surgery is performed in the evening. Eyelids correction procedure and patient's hospital stay take only one day, while in case of any complications patient is kept onsite until his full recovery. This decision is made by the surgeon. Within next 5-6 days after the surgery there are bruises and swelling visible. In case of any aforementioned problems, the surgeon along with his medical staff will be available to help. It is important to mention that such cases are very rare, however, every person deserves to become aware of the pros and cons of the eyelid correction surgery. After a couple of days since the surgery was performed, there will be follow-ups scheduled with the surgeon in order to check patient's health condition and recovery process. Basic information and curiosities regarding upper and lower eyelid correction. 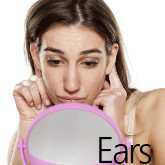 It can sound awesome but first documented mentions about eyelid correction are from XVII century BC. However, only in 1818, the surgeon Karl Ferdinand von Grafe used term 'eyelid correction' for the first time. Eyelid plastic surgery is a 'simple' procedure, which is intended to remove wrinkles and different types of waves around eyelids, so called 'bags under the eyes', as well significant reduction of the eyelids. 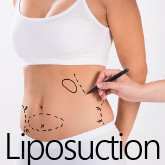 A patient who decides to undertake this surgery does it purely because to restore the young appearance. Eyelid correction can be done together with other aesthetic procedures. Although, eyelid correction is a 'light' procedure, it is necessary to carry out all the essential tests required by the surgeon during the first visit. It is also important to inform the doctor about any medical problems or medications which are regularly taken. Usually, during blepharoplasty surgery local anesthesia is used (general anesthesia very rarely), however, everything is discussed and decided at the initial consultation with the surgeon. 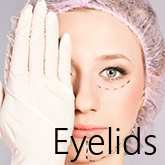 Plastic surgery of the eyelids is a procedure that takes around 1 hour. If both upper and lower eyelids are being operated, the duration of the surgery extends up to around 2 hours. In case if during consultation, the surgeon is informed by the patient of some special health conditions, he might need some other specialist to be present during surgery. 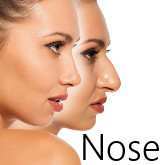 Plastic surgery does not involve any long hospitalisation, only in case of using general anesthesia the patient will need to stay for the observation at least 24 hours. 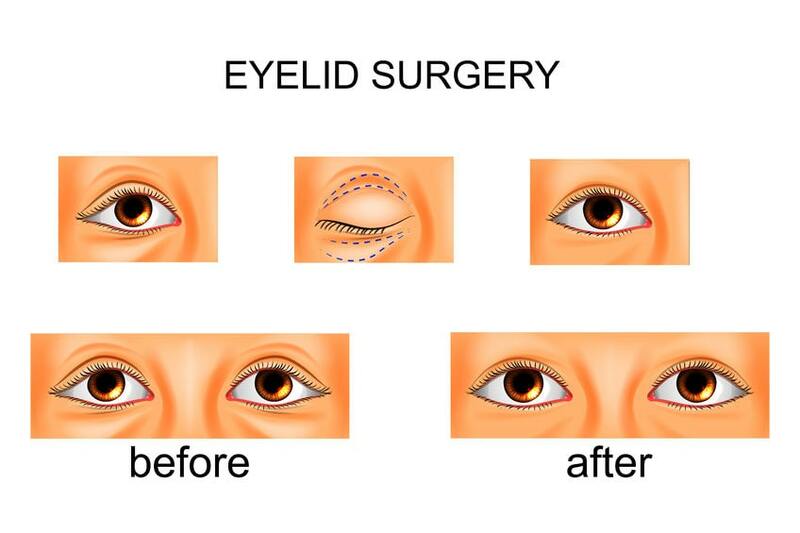 Eyelid correction is a procedure that very rarely causes painful discomfort, more often, however different types of swelling and bruises occur around the eyes. There are scheduled follow up visits within next couple of days after the surgery, which are intended to verify patient's health condition. In all cases absorbable sutures are used. Already on the next day you can return to your daily activities. As far as getting rid of bruises, this process lasts from 7 up to 10 days, the swelling however, is a period of around 3 weeks. Can I sunbathe after eyelid correction surgery? 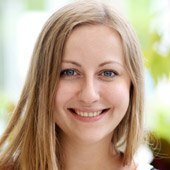 When do I see the final effect of eyelid correction? Every surgery has its own rules and it is hard to generalise everything.